How much Poured in Place Rubber do you need? This product is recommended for contractors only. If you have hands-on experience working with Poured in Place rubber surfacing, using 55lb bags of rubber can be the most cost-effective option for doing large-scale repairs. 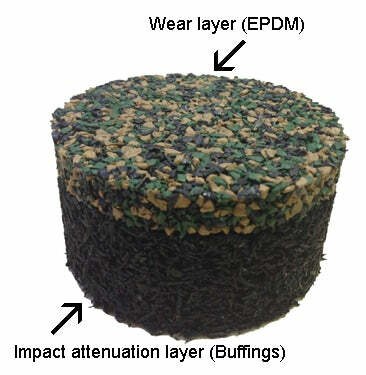 EPDM granules are used to create the wear layer of poured in place rubber surfacing.